Nine out of 10 people who are struck by lightning live to tell the tale, said writer Charlotte Huff. But they walk away with a dizzying array of mysterious symptoms. 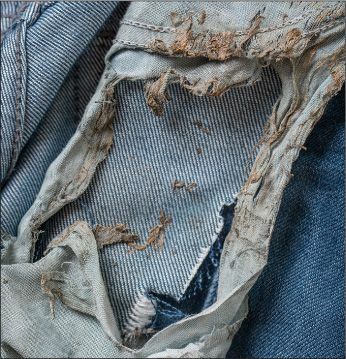 SOMETIMES they’ll keep the clothing, the strips of shirt or trousers that weren’t cut away and discarded by the doctors. They’ll tell and retell their story at family gatherings and online, sharing pictures and news reports of survivals like their own or far bigger tragedies. The tourist hit on a Brazilian beach. The Texan struck dead while out running. The 65 people killed during four stormy days in Bangladesh. Only by piecing together the bystander reports, the singed clothing, and the burnt skin can survivors start to construct their own picture of the possible trajectory of the electrical current, one that can approach 200 million volts and travel at one-third the speed of light. 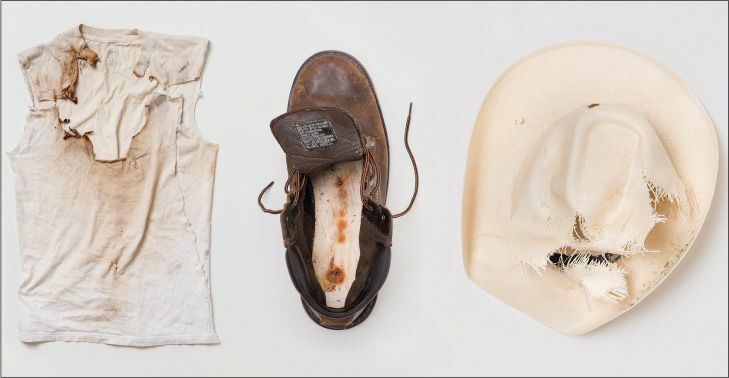 In this way, Jaime Santana’s family has stitched together some of what happened that Saturday afternoon in April 2016, through his injuries, burnt clothing, and, most of all, his shredded broad-brimmed straw hat. Jaime had been horse riding with his brother-in-law and two others in the mountains behind his brother-in-law’s home outside Phoenix. Dark clouds had formed, heading in their direction, so the group had started back. They had nearly reached the house when it happened, says Alejandro Torres, Jaime’s brother-in-law. The riders had seen quite a bit of lightning, enough that they had commented on the dramatic zigzags across the sky. But scarcely a drop of rain had fallen as they approached the horse corrals. Alejandro doesn’t think he was knocked out for long. When he regained consciousness, he was lying facedown on the ground, sore all over. His horse was gone. The two other riders appeared shaken but unharmed. Alejandro went looking for Jaime and found him on the other side of his fallen horse. Alejandro brushed against the horse’s legs as he walked past. They felt hard, like metal, he says. He reached Jaime. “I see smoke coming up—that’s when I got scared.” Flames were coming off of Jaime’s chest. Three times Alejandro beat out the flames with his hands. Three times they reignited. It wasn’t until later, after a neighbor had come running from a distant property to help and the paramedics had arrived, that they began to realize what had happened: Jaime had been struck by lightning. JUSTIN GAUGER WISHES his memory of when he was struck—while fishing for trout at a lake near Flagstaff, Ariz.— weren’t so vivid. If it were not, he wonders, would the anxiety and lingering effects of post-traumatic stress disorder have trailed him for so long? Even now, some three years later, when a storm moves in, he’s most comfortable sitting in his bathroom closet, monitoring its progress with an app on his phone. An avid fisherman, Justin had initially been elated when the rain started that August afternoon. The storm had kicked up suddenly. Fish are more likely to bite when it’s raining, he told his wife, Rachel. But as the rain picked up, becoming stronger and then turning into hail, his wife and daughter headed for the truck, followed later by his son. The pellets grew larger, approaching golf ball size, and really started to hurt as they pounded Justin’s head and body. Giving up, he grabbed a nearby folding canvas chair and turned to head for the truck. Rachel was filming the storm from the front seat, planning to catch her husband streaking back as the hail intensified. Describing that day, sitting on his sofa, Justin draws one hand across his back, tracing the path of his burns, which at one point covered roughly a third of his body. They began near his right shoulder and extended diagonally across his torso, and then continued along the outside of each leg. He leaves and returns holding his hiking boots, tipping them to show several burn marks on the interior. Those dark roundish spots line up with the singed areas on the socks he was wearing and with the coinsize burns he had on both feet, which were deep enough that he could put the tip of his finger inside. Lightning is responsible for more than 4,000 deaths worldwide annually—according to reports from 26 countries. (The true scope of lightning’s casualties in the more impoverished and lightning-prone areas of the world, such as central Africa, is still being calculated.) Mary Ann Cooper, a retired Chicago emergency physician and longtime lightning researcher, is one of a small global cadre of doctors, meteorologists, electrical engineers, and others who are driven to better understand how lightning injures people, and ideally how to avoid it in the first place. Of every 10 people hit by lightning, nine will survive to tell the tale. But they could suffer a variety of short- and long-term effects. The list is lengthy and daunting: cardiac arrest, confusion, seizures, dizziness, muscle aches, deafness, headaches, memory deficits, distractibility, personality changes, and chronic pain, among others. The changes in personality and mood that survivors experience, sometimes with severe bouts of depression, can strain families and marriages, sometimes to the breaking point. Cooper likes to use the analogy that lightning rewires the brain in much the same way that an electrical shock can scramble a computer—the exterior appears unharmed, but the software within that controls its functioning is damaged. Despite having a deep vein of sympathy for survivors, Cooper still doesn’t believe that some symptoms are real. Some people maintain that they can detect a storm brewing long before it appears on the horizon. That’s possible, Cooper says, given their heightened sensitivity to stormy signs in the wake of their trauma. She’s less open to other reports—those who say that their computer freezes when they enter a room, or that the batteries in their garage door opener or other devices drain more quickly. Yet even after decades of research, Cooper and other lightning experts readily admit that there are many unresolved questions, in a field where there’s little to no research funding to decipher the answers. It’s not clear, for example, why some people appear to suffer seizure-related symptoms after their lightning injury. Also, are lightning survivors more vulnerable to other health problems, such as heart conditions, later in life? Some survivors report feeling like medical nomads as they struggle to find a doctor with even a passing familiarity with lightning- related injuries. Justin finally sought out help and related testing last year at the Mayo Clinic for his cognitive frustrations. THE POPULAR PERCEPTION is that the chance of being struck by lightning is one in a million. There’s some truth here, based on U.S. data, if one looks only at deaths and injuries in a single year. But Ron Holle, a U.S. meteorologist and longtime lightning researcher who believes that statistic is misleading, set out to crunch some other numbers. If someone lives until 80, lifetime vulnerability increases to 1 in 13,000. Then consider that every victim knows at least 10 people well, such as the friends and family of Jaime and Justin. Thus, any individual’s lifetime probability of being personally affected by a lightning strike is even higher, a 1 in 1,300 chance. Holle doesn’t even like the word “struck,” saying it implies that lightning strikes hit the body directly. In fact, direct strikes are surprisingly rare. Holle, Cooper, and several other prominent lightning researchers recently pooled their expertise and calculated that direct strikes are responsible for no more than 3 to 5 percent of injuries. Justin believes that he experienced what’s called a side flash or side splash, in which the lightning “splashes” from something that has been struck—such as a tree or telephone pole—hopscotching to a nearby object or person. Considered the secondmost- common lightning hazard, side splashes inflict 20 to 30 percent of injuries and fatalities. As a rule, in high-income regions of the world men are more likely than women to be injured or killed by lightning; at least two-thirds of the time, they’re the victims, and possibly more often, depending upon the study. One possible reason is men’s propensity for “taking chances,” Holle quips, as well as work-related exposure. They are more likely to be on the younger side, in their 20s or 30s, and doing something outside, frequently on the water or nearby. What should you do if you find yourself stranded a long way from a building or car when a storm kicks up? Some guidance is available: Avoid mountain peaks, tall trees, or any body of water. Look for a ravine or a depression. Spread out your group, with at least 20 feet between each person, to reduce the risk of multiple injuries. Don’t lie down, which boosts your exposure to ground current. There’s even a recommended lightning position: crouched down, keeping the feet close together. Jaime had arrived at the Phoenix trauma center with an abnormal heart rhythm, bleeding in the brain, bruising to the lungs, and damage to other organs, including his liver. Second- and third-degree burns covered nearly one-fifth of his body. Doctors put him into a chemically induced coma for nearly two weeks to allow his body to recover, a ventilator helping him breathe. Jaime finally returned home after five months of treatment and rehabilitation, which is continuing. “The hardest part for me is that I can’t walk,” he says from the living room of his parents’ house. The doctors have described some of Jaime’s nerves as still “dormant,” says Sara, something that they hope time and rehabilitation will mend. “We’re living through something that we never thought in a million years would happen,” says Lucia, Jaime’s mother, reflecting on the strike and Jaime’s miraculous survival. They’ve stopped asking why lightning caught him in its crosshairs that April afternoon. “We’re never going to be able to answer why,” Sara says.